Today I’d like to share a page featuring my oldest daughter who was home visiting from New Zealand last summer. 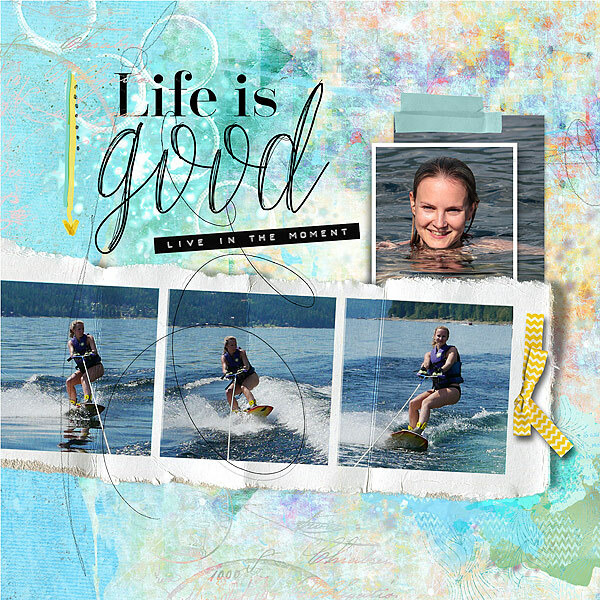 I used one of the weekly templates, parts of the beautiful May Bundle – She and a couple of extra elements from previous releases Carefree and Every Day Life. I love using Nicole’s templates for my every day pages. There are so many parts to the templates, which makes it very easy to adapt them to your own needs.